This weekend as I was undoing my canvas form the transform, the screw securing the male end of the snap to the gel coat came out. Any tips how to mount it back in? (the threads are toast) any sort of epoxy that will work and secure the screw without coming back out? Fill with epoxy and let it cure. Pilot drill the hole and replace the stud. For an even stronger repair, coat the stud screws and underside with wax. Fill the hole and set the stud in the hole. The epoxy will seal around the threads making a solid fastener without drilling but the wax will allow you to unscrew the stud. Epoxy or JB Weld best. Quick and dirty, break off a couple of tooth picks in the hole. Screw it back in. Haha, Kidding but barely eh? I keep epoxy on board for minor repairs. This is the handiest and performs extremely well. I also keep a handful of laminate counter top samples. 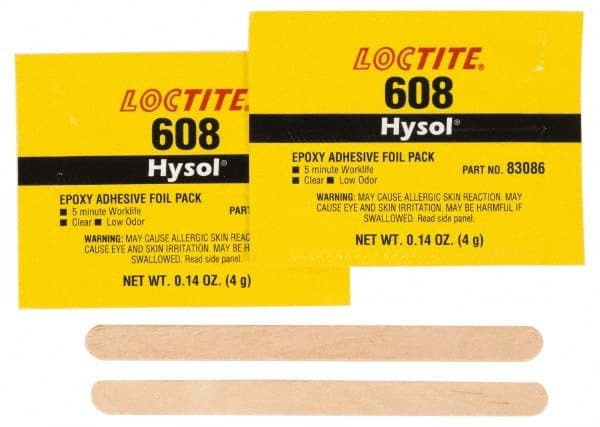 They are perfect for mixing a small batch of epoxy with a popsicle stick, and toss it with no clean up worries. Pick up a few every time you walk through Home Depot. These are handy for the boat. Neat pre-measured foil packs of two-part epoxy. Just cut the end off and you get a teaspoon or so of epoxy ready to go. You can get them in most electronics supply houses. As for picking up laminate counter top samples from Home Depot I would find another alternative. Unless you plan to but a counter top some might consided that stealing. Why is that stealing, it's a sample. You walk thru Cotsco they give food samples away, that's stealing ? Only get the white ones, them you tell that voice in your head you're color matching. They have them there for people intrested in buying a counter top. They pick up a samples to take it home to see which top best goes with their kitchen. Cotsco give out food samples hoping you'll buy the produce. Ok instead of stealing how about if you have no intention of purchasing a counter top it might be unethical? Sorry just my opinion but I'm old. Simply genius. I'm hitting the hardware store tomorrow to steal samples. Ok instead of stealing how about if you have no intention of purchasing a counter top it might be unethical? Sorry just my opinion but I'm old. OK... I'm old too, but still send samples to people who ask. Just cost of doing business. For a .03 cent sample they just got free advertising on a international boating site. Not a bad trade.